Running out of a product you sell can be surprisingly costly to your business. There are the immediate lost sales to consider, of course. But out-of-stocks also cause other problems. They are confusing and frustrating for customers, and you might lose those customer for good. The experience might also cause them to complain to their friends or even leave a negative review online, which can further affect your company’s reputation (and revenue) for the long term. Running out of stock is no picnic for your employees, either. They have to scramble to fix the problems caused by stockouts, as they rush to get items back in stock. They also have to attempt to make things right with upset customers and remember to follow up with them to make things right. Stockouts can even do damage when the product you run out of is for internal inventory. Running out of the wrong supply or ingredient has the potential to bring business operations to a standstill. Thankfully, there are a number of modern tools that make it much easier for modern store managers to avoid running out of inventory. Here are a few tactics and features that can help you avoid stockouts at your business. If you have a clearer idea of what your customers will want and when they’ll want it, you’ll be more likely to order the right amounts of inventory. Accurate forecasting is especially important for companies whose products have a long lead time, such as those being imported from overseas. The right type of inventory software will play a key role in forecasting. The reports that these programs can generate can show managers exactly what customers bought in the past during the same time period, or under the same conditions. For example, managers can look and see how things like discounts affected certain products. They they can go back and look at sales during a time period when the economy or prices were similar to what they are now. Businesses with multiple locations can also use these reports to determine which products are popular regionally. Many inventory software tools have demand forecasting built in so that managers don’t have to pore over reports to find the data. You can get as detailed as seeing which times of the year, month or even week that certain products tend to have a higher demand. Many programs even have specific stockout reports so that managers can look for trends surrounding when they tend to run out of stock and adjust their delivery schedules and ordering routines accordingly. However, smart business owners also know that they need to pay attention to consumer news and trends that could render forecasts based on vast trends inaccurate. Keeping a finger on the pulse of the marketplace will give insights into which products are likely to be popular in upcoming months. As we mentioned in our post on the best ways to reconcile your inventory, we’ve come a long way from the days when store owners used to rely solely on occasional manual counts to make sure that inventory levels were accurate. Today’s inventory management software makes it easier to keep counts accurate in real time by deducting inventory as it’s purchased and adding it as it’s delivered. These new tools make it much easier to keep an up-to-the-minute handle on how much you have in-stock so you don’t unexpectedly run out. However, store managers must also periodically review inventory manually to account for problems that software can’t track on its own, such as theft, fraud, human error, and accounting problems. Use reports to understand which of your products tend to be the most problematic when it comes to “shrinkage,” the official term for when there are fewer items in stock than you‘d accounted for. You can also use what’s referred to as an “ABC analysis” to identify the products that are the most valuable to your business. These are the products that move off the shelves quickly and are therefore prone to errors in their accounting, or higher value items that make a bigger impact on your bottom line. Technology has also made it much easier to for managers to track and count products using tools like barcode scanners and RFID tags. These tools can help your employees count products much more quickly to reconcile inventory numbers, which reduces the cost and improves the accuracy of these counts. They can also make it easier for managers to track products’ locations in a store, and in some cases, throughout the entire supply chain. 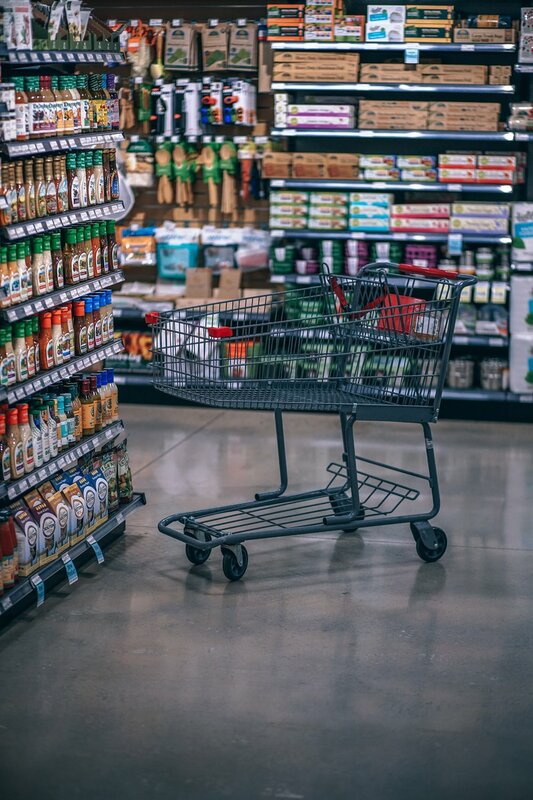 Safety stock, sometimes called “buffer stock,” is a small, surplus amount of inventory that retailers choose to keep on hand to guard against sudden surges in demand or other or other surprises, such as delays from a supplier. The amount needed will vary based on the product. Many software programs can help you calculate the suggested safety stock, taking into account how long that product typically takes to arrive and what the demand is expected to be. Although safety stock can be measured many ways, one simple way that some experts recommend is to have enough for three days’ supply. Understanding how much buffer stock you need is just the first step. You’ll also need some kind of trigger that will let you know when need to reorder before you deplete that safety stock. Most inventory software will be able to alert managers when this “reorder point” is reached, using a reorder point formula that takes into account how many days it takes re-orders to arrive. Some programs can even automatically generate a purchase order to get the process started right away. As you know, getting all of the data required for accurate counts is much more difficult for businesses that use “legacy” inventory systems. These older systems, which are installed on physical cash registers, can’t connect in-store purchases with online purchases. That means that manual work and spreadsheets are often required to get accurate data. Most newer, cloud-based programs, on the other hand, integrate processes and data from both for a consistent customer experience and accurate, up-to-date inventory counts across sales channels and locations. This makes them your most powerful tool in preventing stockouts. Besides better inventory tracking, cloud-based programs have other powerful benefits. Namely, they can connect with cloud-based point of sale systems, accounting software, human resources software, and even marketing software to create a comprehensive, powerful software solution for your business. If you want to learn more, please contact us at Cloudscape. We know that it’s a big job to sort through all of the cloud-based software options on the market to find the best ones for you, and it can be an even bigger job to get those systems up and running. We specialize in empowering small business owners through this process so that they can get started with the best-in-market software solutions with very little interruption to their business operations. To learn more, contact us and book a free, no-obligation consultation.